Casa Zapata is a beautiful complex residence, whose realization was ordered by the Zapata noble family as from the end of the XVI century. Family’s members arrived in Sardinia in 1323 together with the infant Alfonso to conquer it and in 1541 they bought the Barony of Las Plassas, Barumini and Villanovafranca, becoming landlords and then barons of these lands until the abolition of the feudalism. Among the various buildings being part of this residence stand out: a beautiful building with an elegant garden, built between the late sixteenth and early seventeenth century to become the feudal lord house and Baronial Home, and two other bodies pertaining to agricultural buildings, accomplished since the early 1900s, used as storehouses, stables and farmer’s house overlooking a large open court that allowed the free movement of people, goods and animals. 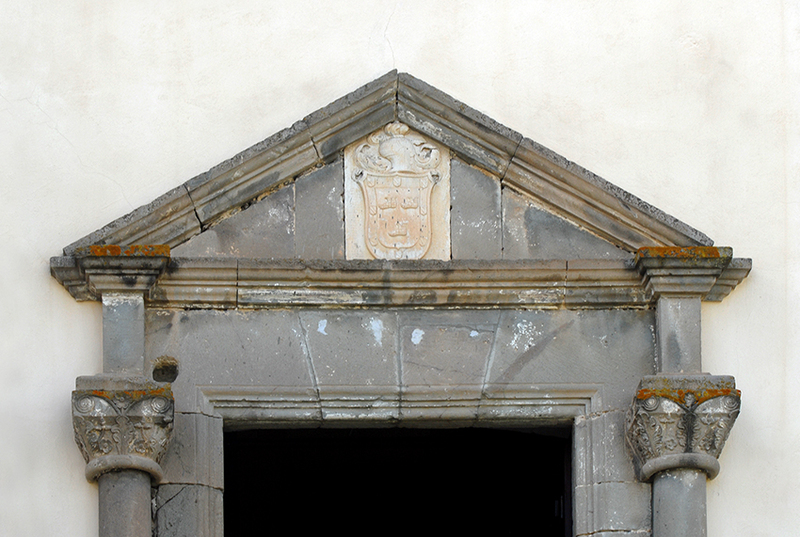 In front of “Casa Zapata” is located the Parish Church entitled to the Blessed Immaculate Virgin Mary, whose construction was probably commissioned by the same noble Aragon family. 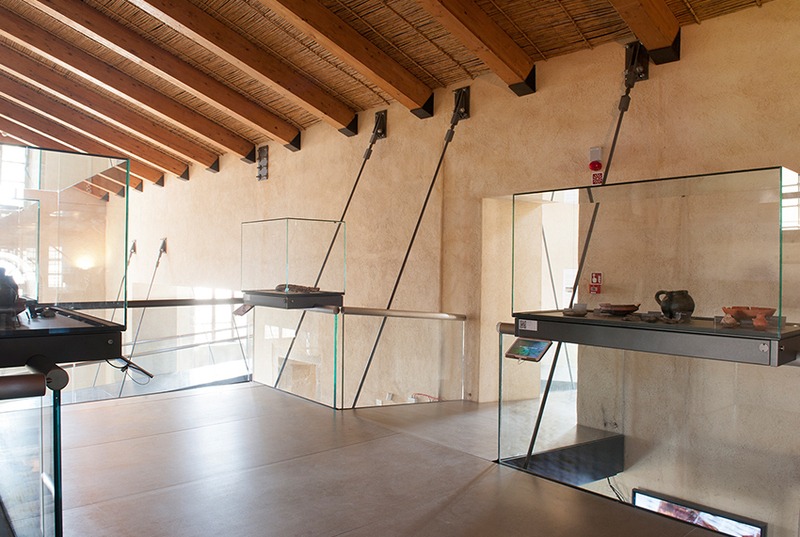 Today the Spanish residence is the seat of the so-called “Casa Zapata” Museum organized into three sections. 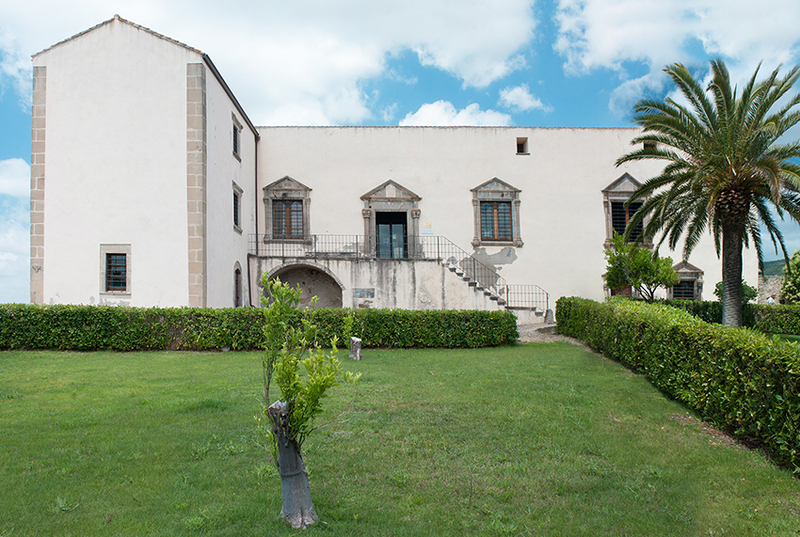 The Archaeological Section has been mounted into the oldest part of the residence, a beautiful palace realized according to the classical model imposed by Philip II and imitating the shape and style of Zapata family’s palace in Cagliari. It deals with a very beautiful seventeenth century building which, during the last century, was identified as ideal for care and enhancement of the very important finds found in the archaeological zone of Su Nuraxi. To this end, after the death of the last baroness, Donna Concetta Ingarao Zapata, occurred in the Eighties and a bad period of total neglect , the Municipality of Barumini bought its property in 1987. Approximately 3 years later, in 1990, unaware of the treasure that “Casa Zapata” kept inside, they started the restoration works towards the implementation of the plan for a museum. 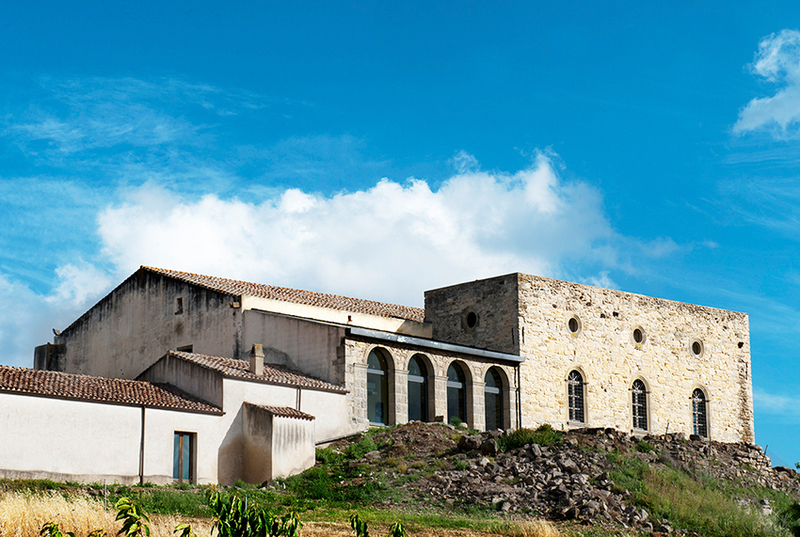 But these works were soon stopped due to the discovery of an impressive complex nuraghe under the palace. 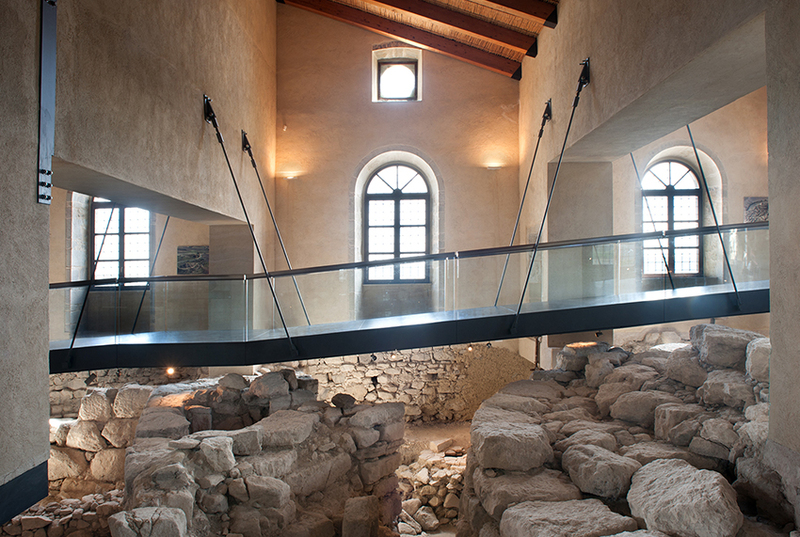 As from that moment many campaigns of excavations (which are still in progress) have followed and the museum project was carried out in order to safeguard and not distort the structure of the palace and, at the same time, to make possible the vision from above of the complex nuraghe through a system of footbridges and some glass floors. So it’s remarkable to enter into a sixteenth century palace and then unexpectedly find yourself facing a very impressive nuraghe. It was just the professor Giovanni Lilliu, who wrote, still before the beginning of the archaeological excavations, that near “the palace, ancient people established a nuraghe and a village all around it”. A nuraghe that he renamed Su Nuraxi ‘e Cresia (the nuraghe of the church), exactly for the closeness to the Parish Church, and Nuragic people raised in this site (i.e. in a high ground of marly rock) because it was flat, so high as to dominate the surrounding territory and not far from water sources. Indeed, one possible function of nuraghes was the military one. Su Nuraxi ‘e Cresia is a complex trilobate nuraghe, made up of a central tower called “keep”, and three other perimetrical towers built all around it and joined by rectilinear curtain walls. Moreover, it has got the particularity of being equipped of 2 courtyards, one inside the trilobate rampart and one other outside it. The archaeological excavations made as from 2005, exactly in this outer courtyard, have allowed archaeologists to brought to light the original paved floor of the structure which, thanks to the materials found here, has been dated back to the Recent Bronze. Moreover, the other ones made inside Casa Zapata and in the Northern part have highlighted the presence of two defence walls and a settlement of a village. Since the excavations are still ongoing archaeologists can only hypothesize the chronological stages of the monument history: primarily the building of the keep; in a second time that one of Southern and Eastern Towers and their curtain walls; finally, the building of the Western Tower, exactly because it has been raised with basalt and, therefore, with an obvious change in building material. The archaeological finds of â€œSu Nuraxi ‘e Cresia return an horizon and a cultural stratification running from the Nuragic Age (Recent Bronze 1300 B.C. and Final Bronze 1100-800 sec. B.C.) untill the Roman (Late-Republican and Late-Imperial) and Early Middle Ages; after the Old Age Su Nuraxi ‘e Cresia records an attendance in Judicial Age till the building of the Zapata Palace. The towers, which in the original time were much higher, are now missing their upper parts. They had a tholos truncated-cone shape and were made up of some circular rooms placed one upon the other. Nowadays, inside Casa Zapata it is possible to see the Keep and the Eastern tower, while the Southern tower, the Western tower, the defence walls and the village develop outside the structure. Basalt, a volcanic hard rock coming from the plateau Giara, i.e. the same one used to build Su Nuraxi of Barumini, appears in this nuraghe in a sporadic way because it has been mainly built with very big polygonal blocks of local marl, arranged in horizontal rows. 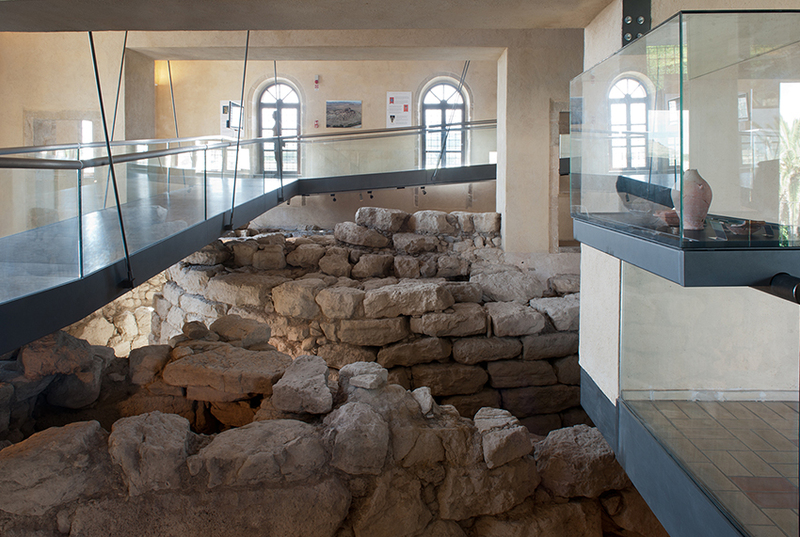 The archaeological section, besides the complex nuraghe, houses a prestigious collection of archaeological artefacts (more than 180 pieces) found in Su Nuraxi archaeological zone, after the excavations conducted by the professor Giovanni Lilliu during the Fifties and restored by technicians of the local archaeological restoration workshop. The Historical Section has been mounted into one of buildings being part the most recent part of the residence and used as warehouses or stables. Inside it you can see some of the most important documents belonging to Zapata Family and the community of Barumini. 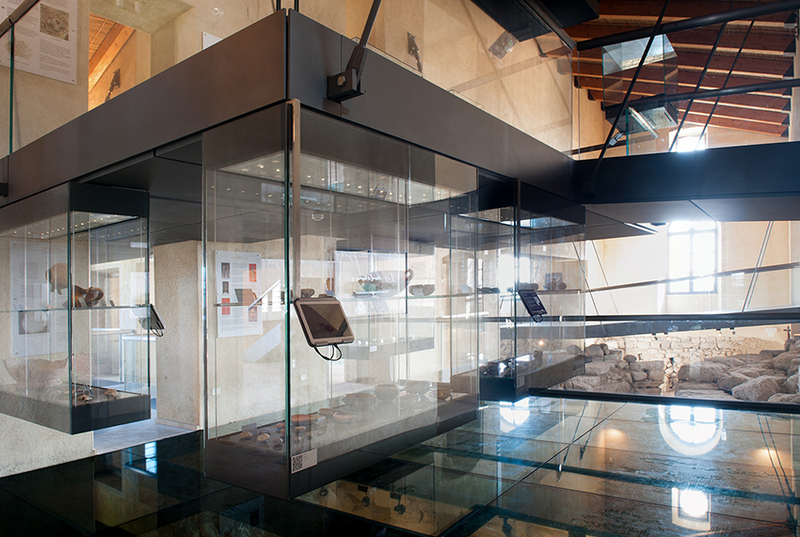 In the showcases you will have the chance to admire some original papers, considered disappeared until now, but recently found by the Municipality of Barumini. Moreover in the panels and in the computers next to the room you can see some other important papers being part of Andrea Lorenzo Ingarao Zapata di Las Plassas’s private collection, who is the grand-nephew of the last baron’s wife, Donna Concetta Ingarao Zapata. He is living in Rome and he had given us all these papers only in digital format. 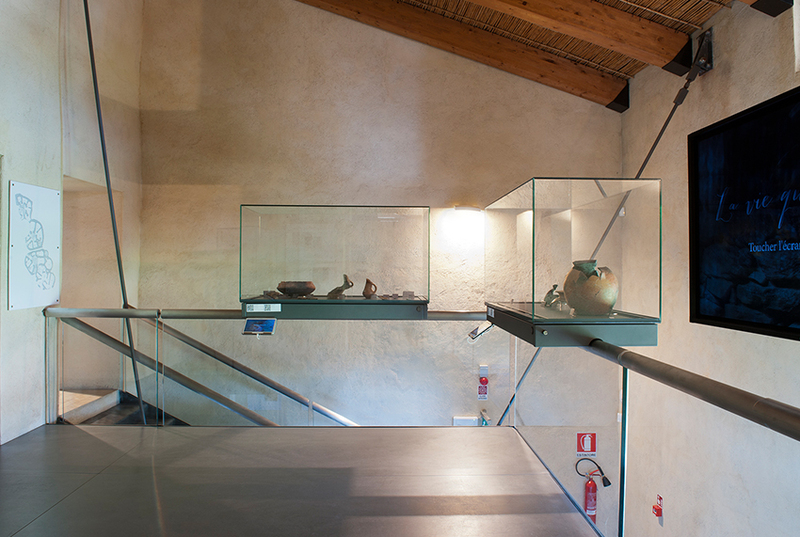 And finally the Ethnographic section, also mounted into one of buildings being part the most recent part of the residence, consisting of a small room showing some of the most common tools used during the last century by the inhabitants of Barumini and the neighboring villages; and the Regional Museum of Launeddas, a small space dedicated to the oldest Sardinian musical instrument, mounted with the assistance of the master Luigi Lai.